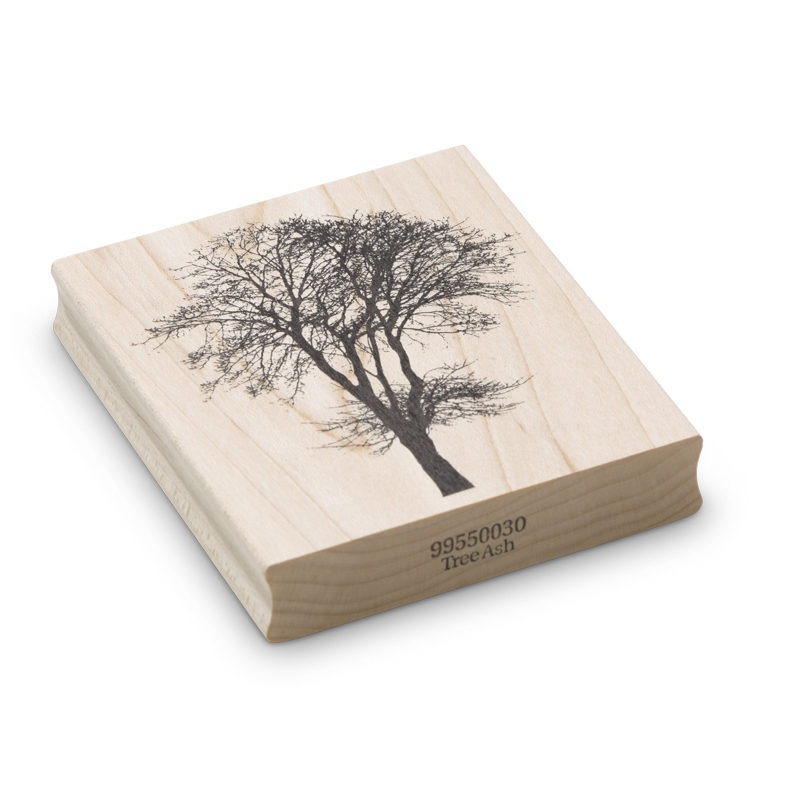 The tree ash wood block rubber stamp is much loved in stamping work with encaustic art. 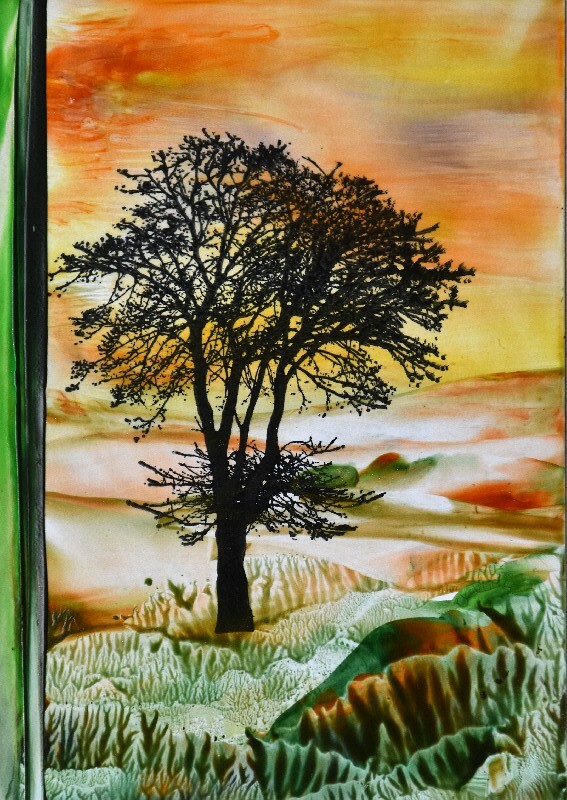 This tree image was created from a photograph of a real tree and has a beautiful and natural feeling. A single print will give central focus to an A6 or A5 piece. As with all trees the foliage area can be printed separately with a mask to create hedging, etc. It is invites waxing over the ink with the stylus or hair brushes and hot wax.